The most memorable food related scene in a movie, in my opinion, is from Big Night (1996). Primo e Secondo, Italian immigrant brothers, are preparing their Timpano di Pasta for the guests in their restaurant who are expecting Louis Prima to show up, but that’s another story! They labour over it meticulously, they carefully unmold it from the drum-like basin it was baked it in, they carefully touch it, smell it and tap it. Their guests silently watch in awe as it is sliced and as they take their first bite they are practically swooning. At that moment I knew I would have to attempt to make this dish. Before then I had never even heard of it. Soon after my friend and I made it for the first time for a holiday gathering with friends. Delicious! A few years ago I watched the movie with my children, knowing they would appreciate it. Just as I suspected, my son declared that we had to make a timpano. So we prepared one for our family on Christmas Eve. The reaction on everyone’s faces when we sliced into it was priceless! 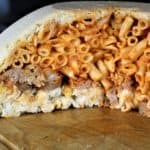 Although it is definitely not a traditional family recipe, I felt it was time to share the recipe for our version of Timpano di Pasta here. 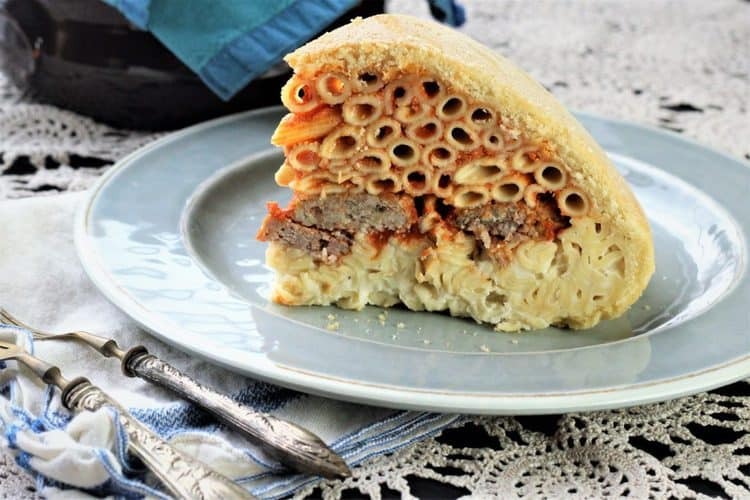 Timpano also called timballo, sartu or pasticcio in different parts of Italy consists of a savoury pie crust stuffed with pasta or rice with varying ingredients such as cheeses, meats, eggs or even potatoes. 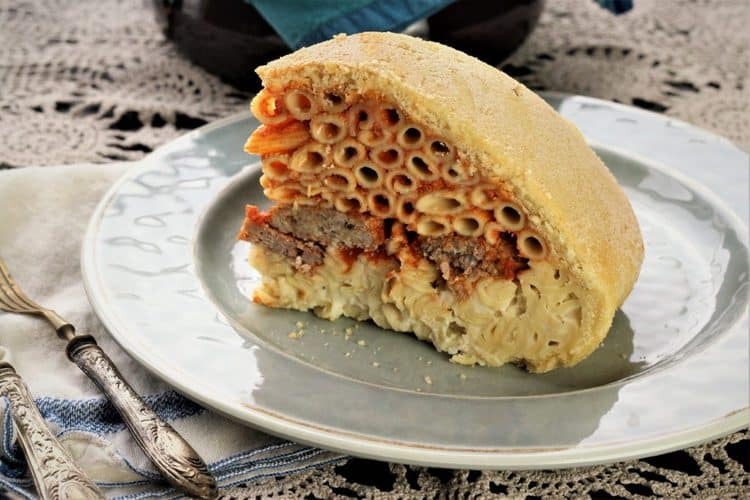 The word timpano refers to the drum shaped casserole that it is baked in. In the movie they bake it in an enamelware casserole but I used a simple stainless steel bowl, the type that we all have in our kitchens. A vegetarian version of this dish is also possible by adding eggplant, mushrooms or peppers. There was much debate in my kitchen as my son and I attempted to compromise on the ingredients in our timpano. It got quite heated! We finally settled on two layers of pasta, one with tomato sauce, the other with béchamel sauce, separated by a layer of meatballs and sausage. We got to work testing this recipe with both of us in the kitchen stirring, slicing, tasting and adding lots more cheese at every step. Alas, we were satisfied with the result. We held our breaths as my husband flipped the timpano onto a large cutting board and it easily detached from the bowl in one beautiful piece. Ah, the sweet smell of success! You have to let it sit for a few minutes before cutting into it to prevent some of the pasta from falling out of the crust, but we were too impatient. Alas, we were satisfied with the final result! However, between you and me, I would add some hard-boiled eggs next time. Watch this step by step Italian language video on how to make Timpano di Pasta! 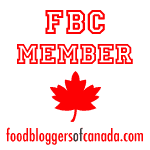 This recipe is quite an undertaking but can easily be broken down into smaller manageable steps. For example, you can prepare the dough, sauces, meatballs and sausage a day ahead and simply cook the pasta and assemble the day of serving. The stainless steel mixing bowl I used has a 4 litre capacity. I recommend using penne or rigatoni as they hold up well after the timpano is sliced and make a more beautiful presentation. On the day I made this I had only rotini as a second package of pasta and as you can see in the photo, it’s not as impressive as the penne. It became too compressed in the bottom layer. Another tip would be to save some of the pasta water to thin the béchamel and tomato sauces when mixing with the pasta. You must realize that this dish is total carb overload and you will be compelled to take a nap afterward so I suggest serving this for lunch rather than dinner. The only other thing you’ll want to serve with this dish is a salad, trust me. Why not try it for New Year’s Day lunch? What a way to start off the year! 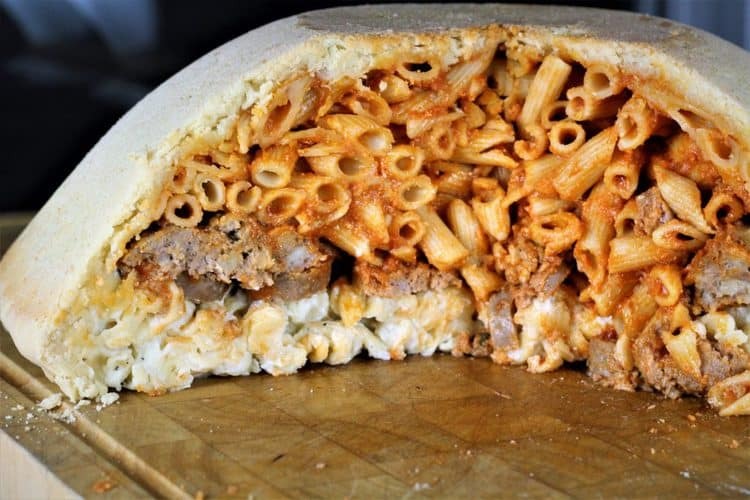 This Timpano di Pasta recipe was inspired by the iconic scene in the 1996 movie Big Night. My version combines layers of pasta with béchamel sauce; meatballs; sausage and a final layer of pasta with tomato sauce. A most impressive dish to serve at your next holiday gathering. Begin by preparing the dough: In a large bowl combine the flour, salt and baking powder. In a separate bowl whisk together the milk, olive oil and eggs. Make a well in the centre of the flour mixture and pour in the wet ingredients. Using a wooden spoon begin to incorporate the flour into the wet ingredients. When the mixture begins to resemble a dough, place on a lightly floured surface and knead the dough for a few minutes until smooth. Cover in plastic wrap and place in the refrigerator for at least 30 minutes. 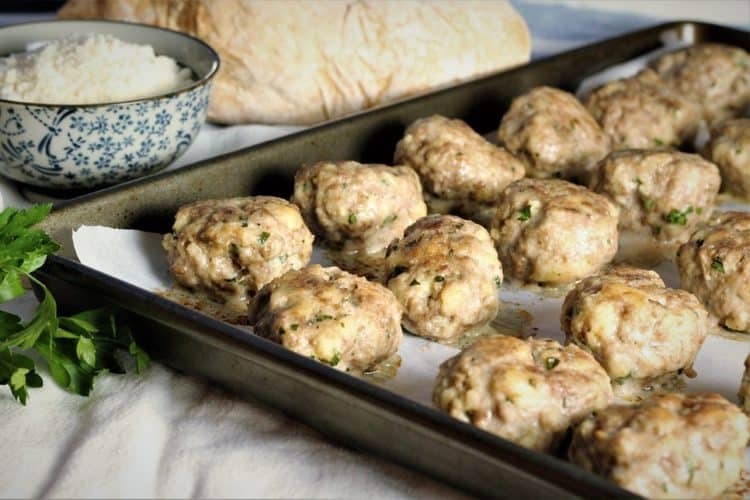 Prepare the meatballs: Preheat oven to 350F and prepare a baking sheet with parchment paper. Place the breadcrumbs in a small bowl and pour the milk over them, stirring to combine. Let sit for a few minutes. In a large bowl combine the ground meat, egg, Parmigiano, parsley, salt and pepper. Using your hands, squeeze out excess milk from the breadcrumbs and add to the meat mixture. Combine all ingredients and shape into 12 oval and slightly flattened meatballs. Place on a baking sheet. Bake for 20 minutes, flipping halfway. At the same time, bake the sausages for 30 minutes or until no longer pink inside. Meanwhile prepare the tomato sauce. In a large sauce pan, heat olive oil and add onions. Sauté for 3-4 minutes, then add garlic. Cook for 1 minute and pour in the tomato passata. Add about 1 cup of water to the jar and swirl to gather excess sauce and pour into the pan. Bring to a boil, add salt and pepper, then lower to a simmer. When the meatballs are ready add to the tomato sauce and let simmer for at least 1/2 hour or up to an hour. Prepare the béchamel sauce: In a medium sized sauce pan over medium heat, melt the butter. Add the flour and whisk together until a paste is formed. Gradually pour the milk into the butter mixture (about 1 cup at a time), bring to a boil and continue whisking until smooth and thickened, about 8 minutes. Remove from heat. Stir in the salt, pepper and Parmigiano and set aside. Bring a large pot with salted water to a boil and cook both packages of rigatoni for 3 minutes less than the time suggested on the package. Divide pasta into 2 bowls. Stir the béchamel sauce in 1 bowl of pasta. Thin the sauce with pasta water if necessary. Using a slotted spoon, remove the meatballs from the tomato sauce and set aside. Combine the tomato sauce with the pasta in the second bowl. Stir in the Parmigiano and ricotta cheese. When the meatballs are cool enough to handle, slice them in half. Slice the cooked sausage into thin slices. To assemble the Timpano, preheat oven to 350F. Grease a stainless steal bowl with a 4 litre capacity with butter and dust with breadcrumbs. On a lightly floured surface, roll out the dough into a circle of about 1/4 inch thickness. Carefully place the dough in the bowl. You should have approximately 2 inches of dough hanging over the edge. Pour in the pasta with the béchamel sauce and flatten lightly with your hands. Place a layer of sliced meatballs to cover the pasta. 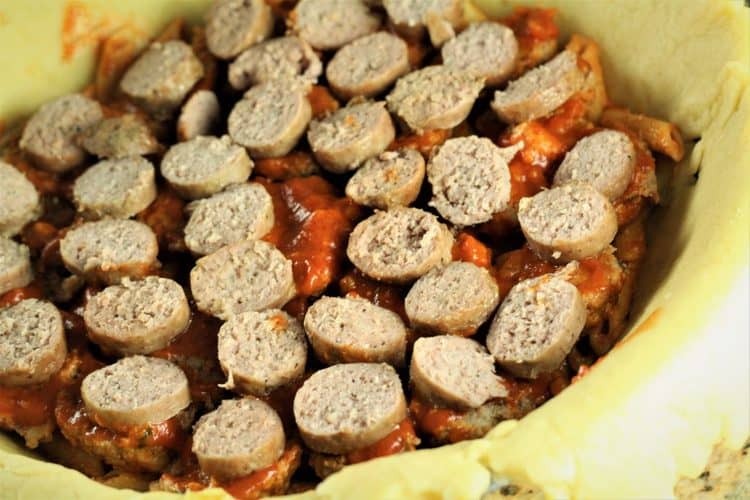 Place sausage slices over the meatballs. Pour in the pasta with tomato sauce over the sausage and lightly flatten with your hands. Fold over the remaining dough over the pasta. 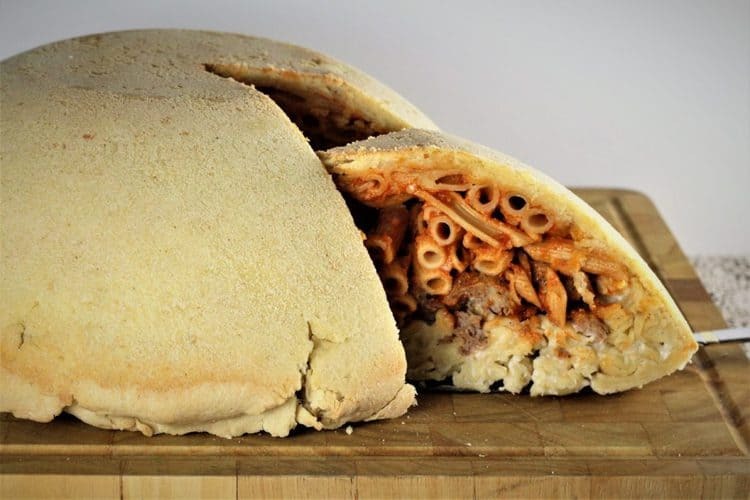 The pasta will not be completely covered by the dough. Cover the exposed pasta in the centre with a sheet of aluminum foil. Bake for 1 hour and 10 minutes until the dough is golden and crisp. Remove from the oven and let sit for 15 minutes. Flip the timpano onto a large cutting board. At this point it would be best to cover and let sit for a few minutes before slicing in order to prevent the pasta from spilling out of the dough. It definitely does look light quite an undertaking but oh my how beautiful it looks! That’s a whole lot of flavour and textures in one dish...I would so love a slice. Wonderfully done Nadia ???? It is Marisa, but definitely a must make at least once! You can also personalize with whatever other ingredients you may prefer, endless possibilities!